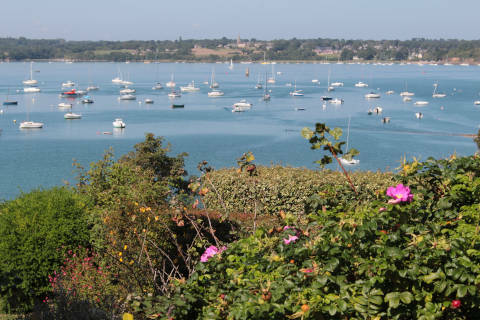 Saint-Suliac is a lovely village which sits on the banks of the estuary of the La Rance river. 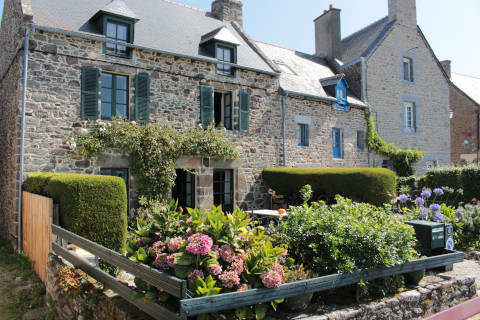 The fishing port is edged with lovely granite cottages and on the water small boats add to the picturesque view. 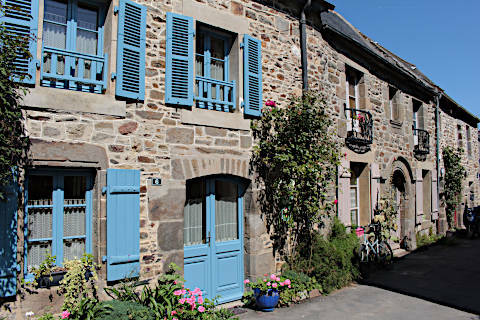 Saint-Suliac is classed as one of the "most beautiful villages of France". 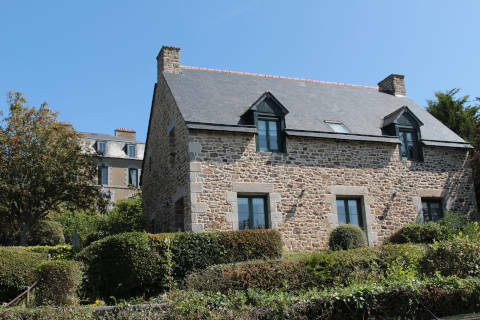 The granite houses on the water's edge and throughout the village are absolutely charming. Often dating from the 14th and 15th century most have painted shutters, a small but picturesque garden and often some sea-related ornaments such as ropes, nets, small boats and nautical colours. There is an attractive 12th century church in the centre of Saint-Suliac which is quite sombre but nonetheless pleasant inside too. 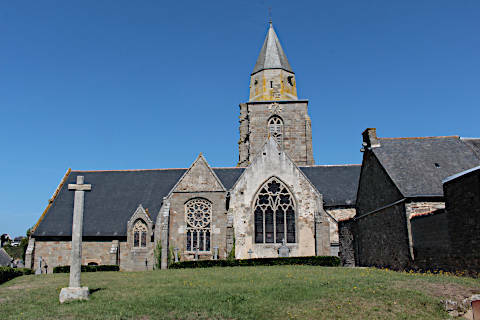 It is surrounded by a walled churchyard (or enclos paroissial) which was common to churches in Brittany at one time but is now quite rare. The bell tower of the church is a fortified tower and was part of the town's defenses. A few bars and restaurants allow you to prolong your stay and soak in the atmosphere of the village. 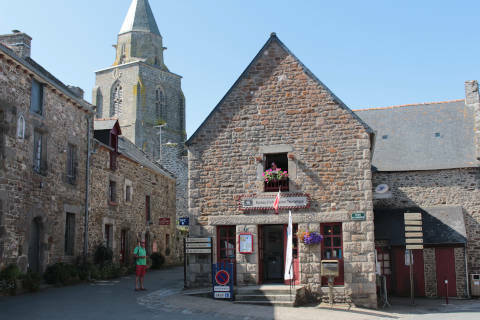 When you have finished exploring the village take a walk or drive up to the Virgin of Grainfollet statue high above Saint-Suliac and enjoy the panoramic views over the estuary and village. The estuary is home to a great number of birds and is a popular spot for bird-watchers. There are also many hiking trails for walkers to explore. The Rance Estuary Barrage is 750 meters long and is an impressive sight a few kilometers north of Saint-Suliac. There is a discovery centre at the barrage, the 'Maison de la Rance Discovery Centre' with information about the natural environment of the estuary. Nearby is a menhir known as the "Dent de Gargentua' or 'Tooth of Gargentua', which is evidence of a Megalithic civilisation in the region. At the rock-shelter of Grainfolet around 6000 artefacts have been found dating back to Paleolithic times, around 70 000 years ago. These were all arranged around a fireplace. There are the remains of a 10th century Viking camp nearby which are most visible from the sea in a small cove south of Mont-Garrot. 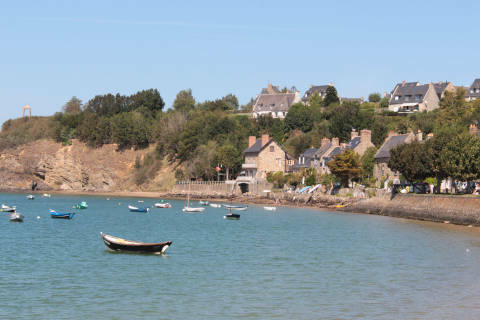 The Rance estuary is between the medieval town of Dinan and the Emerald coast between the seaside towns of Dinard and Saint-Malo. 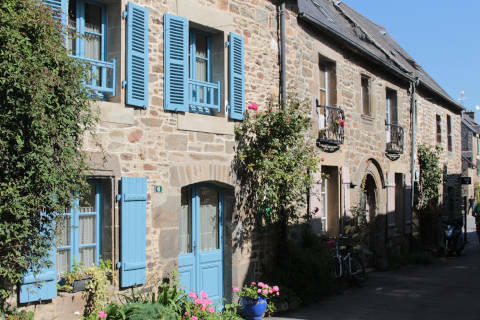 Of course the lovely medieval town of Dinan is a delight to visit as are the coastal towns of Dinard and Saint-Malo further up the estuary. Do not be fooled into thinking Saint-Malo is just a ferry harbour: it is home to a beautiful walled city and just a few kilometres from Saint-Suliac.